Activity Type: Navigation through the Fjords and Channels of Aysén along the Cordillera Route: Quellón - Melinka - Raúl Marín Balmaceda - Santo Domingo - Melimoyu - Puerto Gala - Puerto Cisnes - Puerto Gaviota (Caleta Amparo) - Puerto Aguirre - Puerto Chacabuco. Duration: 2 days, 1 night minimum. (Note: You can reserve your trip, segment by segment, in a sort of hop-on, hop off arrangement, allowing you to travel at your own speed and stay a few days in the locations you choose). Seasonality: Year round; check schedules. 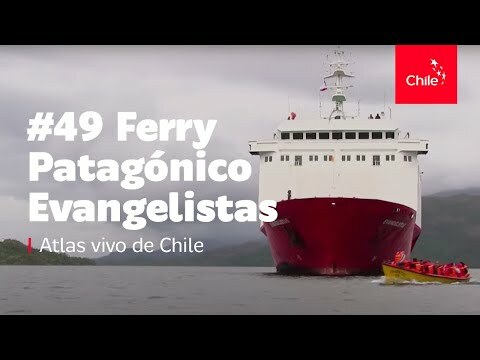 Special Considerations: The boats are ferries that enable you to transport a vehicle and offload in Aysén to explore the Southern Road, BUT only some of the ports are equipped for the offloading of vehicles (Melinka, Puerto Cisnes and Puerto Chacabuco). The boats have hard-plastic seats outside on the upper decks and reclining upholstery seats below. Simple snacks are offered on board. If you have specific requirements for food, we recommend you bring your own. 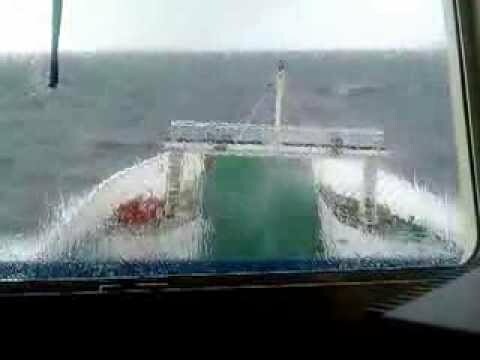 Itineraries are always subject to weather conditions and tides, so expect delays. Reservations: During the high season months of January and February it can be hard to find a seat. You definitely need to reserve your tickets in advance for all of the segments you plan to take. Contact Naviera Austral: contacto@navieraustral.cl, www.navieraustral.cl. Imagine sitting down to construct a giant jigsaw puzzle, opening the box and pouring out 1000 pieces on the table. There’s likely a large chuck that never broke apart so you set it over to the right hand side of the table, happy for the head start. There are some other smaller chunks that you set nearby and the rest you spread across the table, piece by piece. As you look things over, it’s hard to imagine how it will all fit together. The Archipelagos of Aysén are the same sort of puzzle, a continuance of the mountains along the coast, but here, as a result of tectonic movements and the numerous glaciations that have taken place in the area, the mountains have been fractured into thousands of intricate parts, like a giant jigsaw picture, forming fjords, archipelagos and hundreds of islands that give life to a landscape without equal, of unique beauty, inhabited by hardworking fishermen and their families. The Cordillera Route originated with the important task of connecting the islands and coast of Aysén with other areas of Chile. The route operates via modern ferries which transport passengers, cars, trucks and goods between the coastal villages, following a regular schedule that is always subject to delays and changes, due to the weather of the zone. On-board amenities for passengers are basic and can include reclining seats, bathrooms, on-board video and a small cafeteria. You can travel the entire route straight through, or in a hop-on, hop-off sort of fashion, paying only for the segments you reserve. Navigating the Cordillera Route will give you the opportunity to see places so remote that many are not even named. In each of the segments of the route, you’ll be treated to natural wonders and the chance to observe marine animals and birds. On board you’ll have plenty of opportunities to get to know your fellow passengers: families, backpackers, fishermen, inhabitants of the islands, and visitors from all over the world. The route starts in Quellón, at the southern end of the Isla Grande of Chiloé. The first leg travels to the island of Melinka and can be one of the rougher crossings because you are navigating the Corcovado Gulf and the waters can toss you about a bit. In fact, if you have a tendency to get motion sickness, we recommend stopping at the pharmacy for some medicine. If the gulf is calm, keep a watch for seabirds in the coastal stretches and for dolphins following the boat. You’ll be in the territory of the giant blue whale which is a hard animal to spot, despite its massive size. Nevertheless, be ready with your camera – you never know! Melinka, the capital of the Guaitecas Islands, is the first stop along the route. In this picturesque village there are various hikes with great spots for the observation of flora and fauna, and you can learn about local culture walking around town, where you will likely meet artisans, fishermen and boat builders. The next stretch goes from Melinka to Puerto Raúl Marín Balmaceda, navigating the Moraleda Channel. Raúl Marín Balmaceda is a small village with sandy streets surrounded by a lush rain forest and lots of water all around (Raúl Marín is actually an island, although only separated from the coast by a stretch of several meters). On one side, you’ll encounter the freshwaters flowing from the mouth of the Palena River and on the others, the salt waters of the fjords and channels. Here, we can recommend hiking the Chucao Trail, taking a boat or kayak excursion, or simply strolling along the endless sandy beaches. The landscapes are amazing! The navigation continues toward Santo Domingo and Melimoyu, through the Refugio Channel. Melimoyu is a tiny town located at the base of the Melimoyu Volcano. The town began as part of the last Government driven colonization project of the twentieth century, under the military dictatorship. Inhabitants of this colony were provided with incentives and free land, but afterwards, were left on their own for many years in this isolated wilderness setting, to struggle for themselves. Although few of these settlers remain today, the Institute of Melimoyu Ecosystem Research (MERI), which owns and manages the private Melimoyu Natural Reserve, can be found here. Its’ main mission is conserving Patagonian indigenous habitat, through ecotourism and scientific research. The next stop is Puerto Gala which, along with Puerto Gaviota, was created during the 1980s as a temporary workers’ settlement, during the dramatic rise in popularity of hake, known locally as Austral Merluza. In fact, the first houses were little more than wooden log frames covered with nylon. Gradually they evolved into more permanent dwellings and finally, official villages. The island is close to several important Chono indigenous archaeological sites and is quickly becoming an area of interest for scientists seeking to learn more about this mysterious group of nomadic canoe peoples. The tour continues to Puerto Cisnes, passing through the Jacaf Channel into the calmer waters of the Puyuhuapi Channel. Good local food and drink, an unforgettable annual folkloric festival, and kayaking, are some of the highlights of what you can do in this charming city. In addition Puerto Cisnes is a good point if disembark if you want to begin an overland adventure. The next stretch travels from Puerto Cisnes to Puerto Gaviota through the beautiful Puyuhuapi Channel. Puerto Gaviota is located within the Isla Magdalena National Park and from the village there are a few short hikes, and opportunities to take excursions to view marine fauna or to accompany local fishermen as they go about their daily work. The stretch from Puerto Gaviota to Puerto Aguirre travels the Moraleda channel, stopping at the Huichas islands in which there are three locations: Puerto Aguirre, Caleta Andrade and Estero Cup. Here, you can learn about the life and culture of artisan fisherman and do plenty of walking around town, and on great interpretive trails. The route finishes with the navigation from Puerto Aguirre to Puerto Chacabuco, which is within the Aysén Fjord and is the main port of the Region. If you’d like to know more about these great destinations, keep reading! The following pages will provide lots of detailed information and some fun surprises.